After hearing pretty much everything of RDR 2's soundtrack, it reminded me how good actually the vocal songs "Deadman's Gun", "Compass", "Far Away", "Bury Me Not on the Lone Prairie" and the ambient music was which I never did before. There were moments of surprise, nostalgia and that strong hitting "western touch" in RDR 1 that I way less frequently experienced in the second one. Did you guys enjoy both equally, or did you prefer one of the other much more as I did, vice versa or not? I'm not a big music/audio person but.. Those scenes were done really well in both games. Personally I liked how the second game did it and expanded on it. Like at the end of chapter 6 with the nostalgic flashbacks to earlier parts in the game of Arthur's character development. Or when you get back from Guarma and the music gives you the feeling of being "back home" but not the home you left. Or when you get back from Guarma and the music gives you the feeling of being "back home" but not the home you left. The "Compass" moment of RDR 2, and it was my favourite music sequence from the game. is such a great song. tbh, every R* game had a great soundtrack in its own right, pretty much because they know how the capture the vibe of the setting, rather than include popular hits.. I agree with UN being the weakest of the link in the grand scale, however "Bad Voodoo" by Kreeps has to be one if not the most badass musical sequence in the Red Dead series so far. 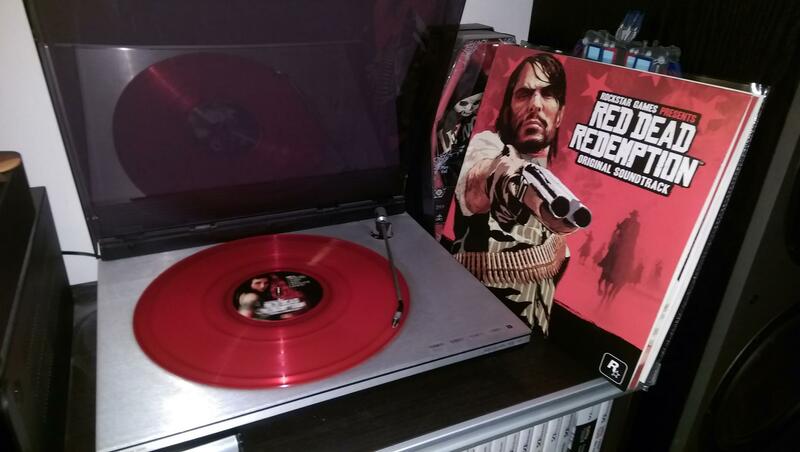 While RDR 2's soundtrack being way bigger is a plus, I'm kinda on the side of quality over quantity here. I find RDR 1's ambience and vocal work a much more raw and unique experience. Your last point is a great one, and one of the reasons I love Rockstar's use of music in their games. They always use the right tone, use of an instrument and when to hit with the vocal songs at the perfect moment. Gonna say tried creating a Pandora station using Unshaken as a seed. Bad idea. It only plays f*cking R&B. Definitely not cowboy music. I can't say that I really noticed much of the ambient score in the first Red Dead. I remember it not playing near often enough to suit me. RDR 1 soundtrack is pure perfection. Rdr 2 has amazing ambient music and, even better than the first. I guess it just comes down to different tastes, I don't see it myself though. RDR 1 imo had more of a spaghetti western and tragic feel to it, whereas RDR 2 sounds more country-music esque to me, which I'm not the biggest fan of. Overall though RDR2 has a better OST. However I was disappointed by the initial intro. All R* games had awesome intros. In RDR we had a brilliant intro with the train scene. But in RDR2 the introduction just happens as the first cutscene is going on. There's nothing special about it. However I was disappointed by the initial intro. Agreed. That was legitimately the only thing I was not fond of about the game. The intros of RDR 1 where you sit on the train and GTA IV when you drop off the boat sticks in my head years after, RDR 2's one is quite forgettable. Don't see in any world where RDR 2 has a "far better" OST in terms of quality. 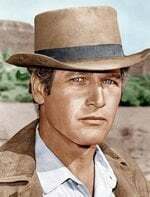 The likes of Deadman's Gun, Far Away, Compass, Triggernometry, The Shootist, Born Unto Trouble and Estancia are all masterpieces that capture the western feeling like none other. Edit: I don't know if you edited the far better section or if I misread you. Good intros were one of Rockstar's trademarks if you ask me(like artworks are Rockstar's trademark). It was a symbol that showed you "this is a R* game" in case you didn't see the logo but I don't know why they abandoned it in RDR2. Anyway, RDR1 soundtrack is abrasive and has patriotic themes while 2s is ambient, softer, and closer to nature (which fits the theme of each). RDR2 isn’t set in the west “west” but more in the east hitting the Mississippi river so the soundtrack definitely is alot different than RDR1 for that reason alone. I perfer 2s but 1s is definitely special. Also this one was made by woody jackson while rdr1 had woody jackson, bill elm and some others. It reminds me of V’s soundtrack at points. Blackwater's OST from RDR1 is perfection. Try playing that over RDR2's Saint Denis. As far as in-game soundtrack, I prefer RDR1's. It also has a more Western-sounding soundtrack. However, the mission specific themes, like My Last Boy's OST, and the vocalized songs for RDR2 are pretty great. Deadman's Gun still isn't beat, but I really love Red by Daniel Lanois. Yea I feel you. Good thing they made up for it with how incredible the game turned out to be. Can't believe I'm saying this, but it might be the greatest narrative in a game of all time for me. Don't know if you disagree or think I'm talking about the soundtrack. I'm not talking about the soundtrack in the opening, just the opening itself compared to other R' games. Anyways that's a fantastic theme that you shared. You cannot really compare the two. Both are excellent and stand together, no need to debate which is better. You could easily name 10 standout tracks from RDR1, as has already been done. Similarly, there would be absolutely no problem naming 10 standout tracks from RDR2 also. The problem for me is when people start saying that one is "far superior" to the other, or similar phrase. That does a great disservice to the other soundtrack. Both are excellent. -Cruel, Cruel World, both versions. -House Building Song from "A New Jerusalem" - Hammer & Nail ?? These are just the ones from the top of my head. You can never say that RDR2 was anything other than excellent. Same for RDR1. Also worth keeping in mind, RDR2 soundtrack was different to the first, in that every song that featured in the game, was written especially for the game. Yes, all the lyrics, everything, was written especially for this soundtrack, it wasn't just already existing music by the artists. That is a massive achievement, to get artists like Willie Nelson on board and not singing their own already existing songs, they must have really respected the script and work that went into the game. Great post and many valid points you bring up that I agree with. When it comes to the release of the RDR 2 OST, didn't they state months ago that they would release it "soon"? When it comes to the release of the RDR 2 OST, didn't they state months ago that they would release it "soon"? RDR1 has the better soundtrack. The dark western vibe was much better than the softer vibe of this game. Plus there was never that “oh my god” moment in this game like RDR1 had crossing into Mexico for the first time. Still a a great soundtrack though. Just can’t top the original. Yeah, pretty much. I think the ambient music in the first one is more memorable. More atmospheric though the music in RDR 2 really great too. The only problem is the song in the game is different, has more instruments. Wtf is this version? I thought I was alone! I didn't like it either but it's simply because I don't like these types of songs. I preferred the score from RDR1. I think Bill Elm's influence is noticeably missing from RDR2. However I did like all when there were call backs to the music of 1, and the original songs from 2 were great. The score works well, I just enjoy 1's more. If I could change one thing musically I would add more songs for the trumpet player and fiddle players in St. Denis. It seems to me that they only have one song each. I've encountered at least 2 fiddlers and I think they both played the same song. It's set partly in the South and Appalachian area, of course it has that vibe. I love the soundtracks from both games, but I feel like a little more work went into RDR2. It's a big, diverse game with a big, diverse soundtrack. They didn't QUITE match the high points of "Far Away" and "Compass" from the first game, for me, but they came close (and did that a little more often, and in some different ways by incorporating songs more into certain missions rather than just using them as riding music). RDR1 felt a little more movie-like, with most of its points of reference being Hollywood and Italian Westerns, right down to the soundtrack; I feel like RDR2 and its soundtrack are more invested in the actual feel and texture of late-1800s America. All the times the gang sings in camp or while riding on a mission just underscore the fact. This isn't attempting to be a spaghetti Western, or any kind of conventional movie Western, it's doing something different and a little closer to the roots. Also, minority opinion... 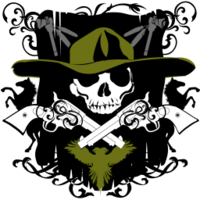 I never cared that much for "Dead Man's Gun" from the first game. It's a kind of corny, obvious song, though the ending is so good that it didn't bother me in context. Ambient music works better in RDR 1, especially the Mexico part. In RDR 2, ambient music is really quiet and rare. All of the ambient music is queued by location, it was more noticeable in RDR1 but it's true in RDR2 as well. The Great Plains and New Austin ambient music are variations on their RDR1 music. I know you can glitch into Mexico, I wonder is the ambient music in Mexico different from what is in New Austin?